St Seiriol’s Well is at Penmon on Anglesey. Drive straight on through Beaumaris then look for a right turn down a narrow lane signposted to Penmon. When you reach the toll man by the church stop and go no further. He will charge you £2.50 to continue to Penmon Point, he may even charge you £2.50 to park by Penmon church. The well is behind the church, accessed by a footpath, signposted, opposite the dovecote. St Seiriol was an early 6th century (flourished ca 500-550) Welsh saint, the son of King Owain Danwyn of Rhos. Seiriol was the founder and first abbot of the Penmon church. 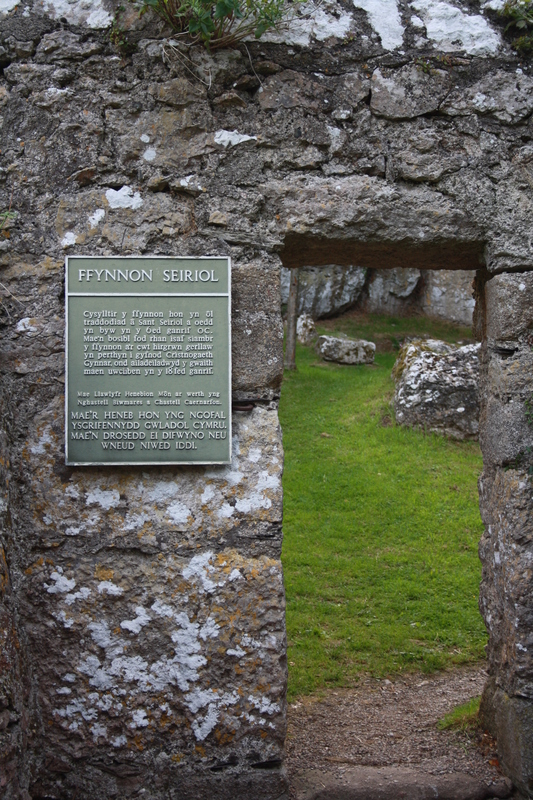 David Nash Ford states that Seiriol originally had a hermitage at this location, but his family thought this was too humble a dwelling for the son of a king and founded the monastery around his cell. It has been suggested to me that the dedication of the well to St Seiriol is relatively recent and that the past it was generally known as Ffynnon Fair, a general name given to a Holy Well implying dedication to St Mary. Indeed during the later nineteenth century it appears on maps marked as a “wishing well” In 1912 a report from the Anglesey Antiquarian Society noted that although it was generally referred to as Ffynnon Fair, the vicar’s wife stated that the old people of the area call it Ffynnon Seiriol. Moreover, it is referred to as Seiriol’s well by Angharad Llwyd in her 1833 History of Anglesey , so clearly the associations with Seiriol are long established and possibly an older name has been now restored to the well.. The brick built well house that exists today dates from the earlier 18th century, although the stone well surround may be earlier. 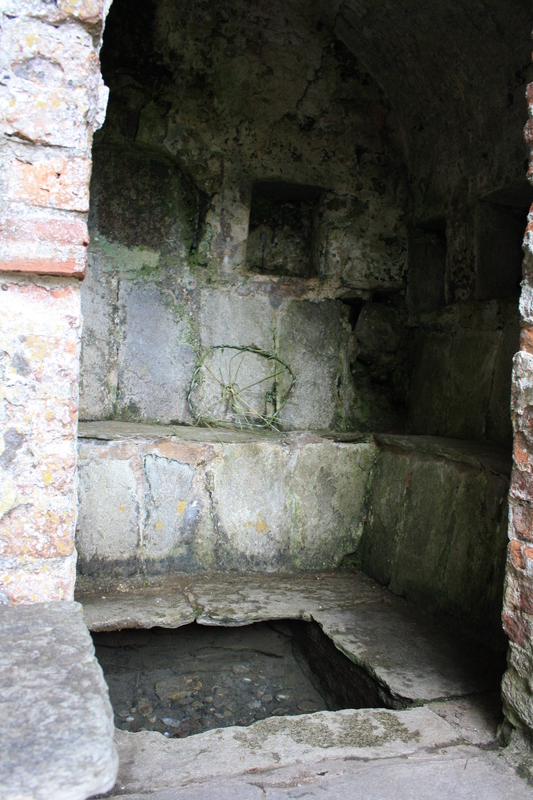 The stone seating outside the well house is probably earlier, although has not been dated. There are also remains of older buildings close to the well, which have been claimed are the remains of Seiriol’s cell, although this is almost certainly not the case. There is a legend (although probably of relatively recent origin) that Seiriol was a close friend of St Cybi, who was based at Holyhead (Caergybi). The story is that the friends would meet on a weekly basis, each walking to a central point on Anglesey, Clorach. Since Cybi walked towards the sun he became tanned and gained the epithet Cybi Felyn (tanned or yellow) and Seiriol walked away from the sun and was known as Seiriol Wyn (fair or white). There were two healing wells at Clorach, on opposite sides of the road, one named after Cybi, the other after Seiriol. Very little evidence of these wells now remains. Towards the end of his life Seiriol retired to a cell he built on the small island, known as Priestholm just off Penmon Point. 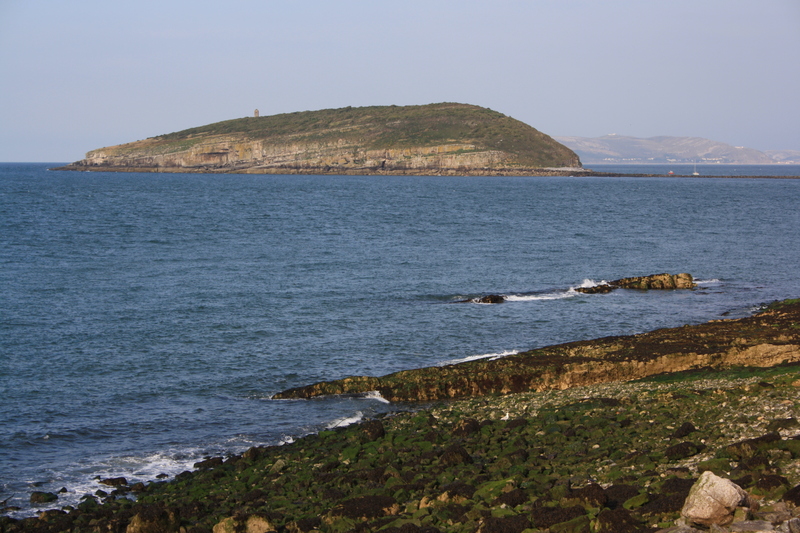 The island became known as Ynys Seiriol, although today is more commonly referred to as Puffin Island. 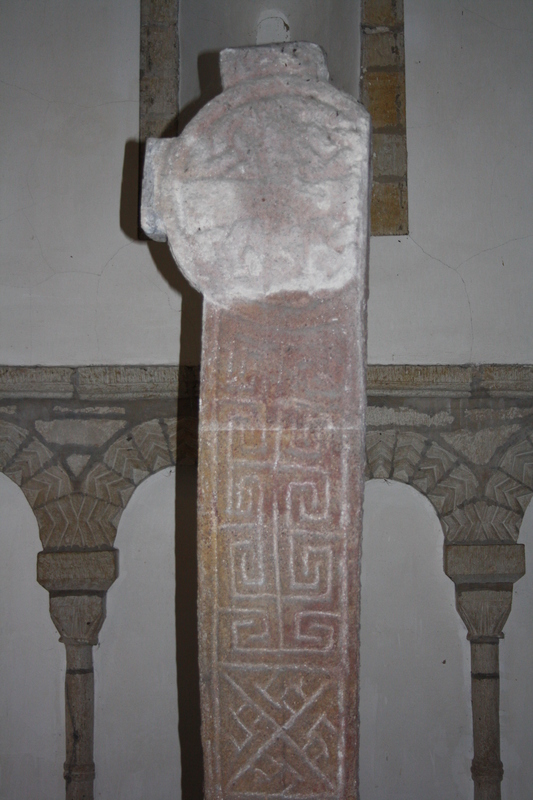 The monastery at Penmon continued to flourish after Seiriol’s death, although much was destroyed by Viking raids there are two Celtic crosses dating from the 9th or 10th century preserved in the church. 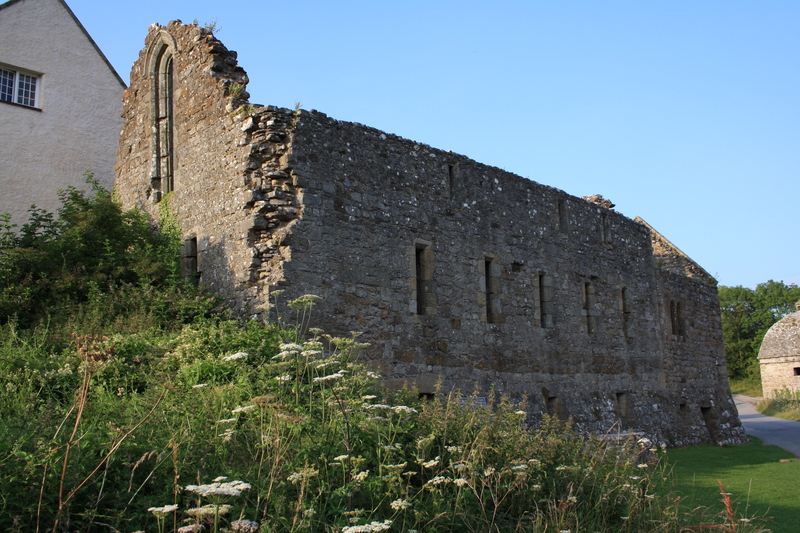 In the thirteenth century it was reorganised as an Augustinian Priory, and it is from this period that the few remaining priory buildings date. 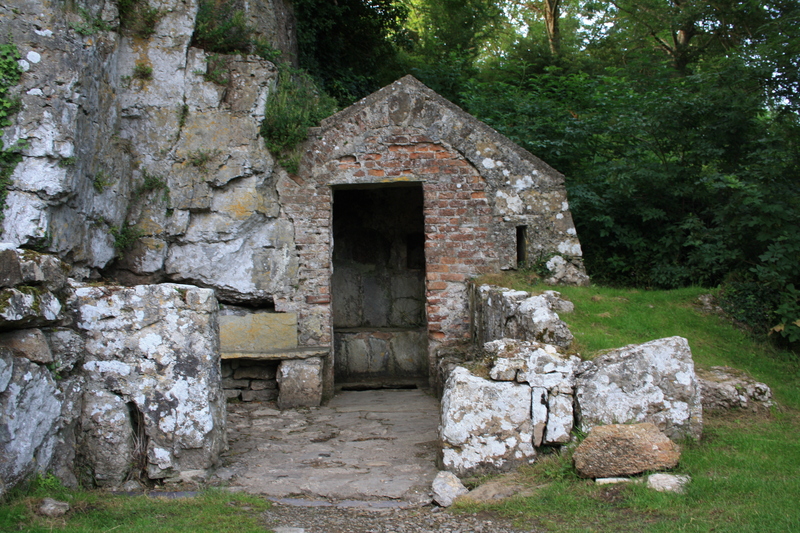 There are no specific customs associated with St Seiriol’s Well, although it was regularly visited throughout the medieval period as a healing well. saints are deposited there, and no woman is suffered to enter it. Angharad Llwyd (1833) A history of the island of Mona. Ruthin.